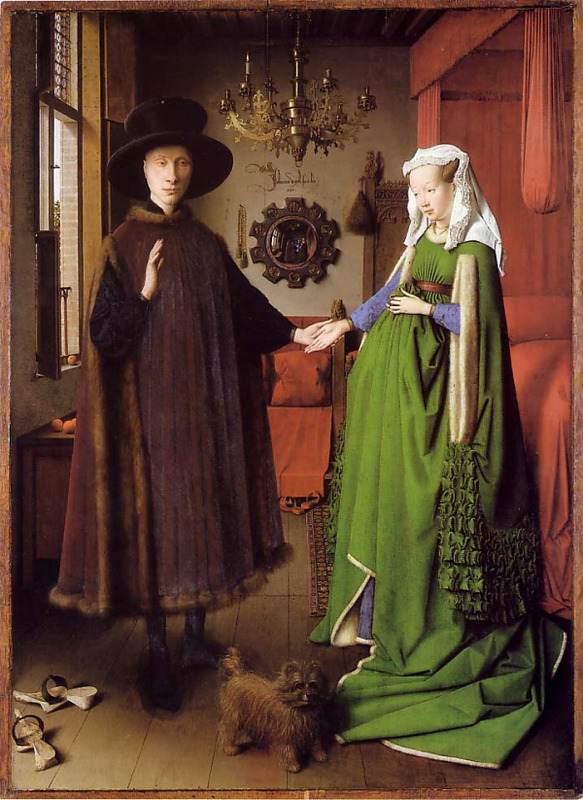 Image: The "Arnolfini Portrait" (1434) by Jan van Eyck. Among the many visual symbols in this classic portrait of a husband and his wife is the dog, a symbol of fidelity. I recently preached on David’s keeping of his covenant to Jonathan by extending kindness to Mephibosheth in 2 Samuel 9. In the applications, I noted that one thing this passage teaches is the importance of keeping one’s covenant commitments, whether the foundational covenant commitment to Christ, the commitment to covenant membership in a local church, or the covenant commitment to Christian marriage. Example 1: The Scottish minister Thomas Boston (1676-1732) was married for thirty two years to Catherine Brown, whom one biographer described as falling “under a mysterious and racking disorder of the intellect” (Biographical Introduction, Human Nature in Its Fourfold State, p. 15). She apparently became mentally unstable just weeks after their marriage, tried to take her life on several occasions, and spent ten years confined to her bed with apparent schizophrenia. Nevertheless, Boston could describe his troubled wife as “a woman of great worth, whom I passionately loved, and inwardly honoured; a stately, beautiful, and comely personage, truly pious, and fearing the Lord … patient in our common tribulations, and under her personal distresses” (as quoted in Meet the Puritans, p. 657). Example 2: The Baptist minister Andrew Fuller (1754-1815) wrote in his diary on July 25, 1792, “O my God, my soul is cast down within me! The affliction in my family seems too heavy for me! O Lord, I am oppressed, undertake for me! My thoughts are broken off, and all my prospects seem to be perished!” (Collected Works, Vol. 1, p. 59). His lament was for his wife in particular. While expecting a child, she began to suffer with bouts of mental distress. Perhaps this was brought on by the hardship of having a few years earlier lost their oldest daughter to the measles at age six. Fuller’s wife was seized with what he described as “hysterical affections” and a “deranged” mind (p. 55). She went through some times when she was lucid but at other times she could not recognize Fuller as her husband (she called him an “imposter”) or her children and would try to escape from their home. On August 23, 1792 she gave birth to a healthy daughter, but she died soon after the delivery. Through it all Fuller had stood by his wife faithfully. Example 3: James Fraser (d. in 1769 in his 69th year of life after 44 years of ministry) was a minister in the Northern Scotland region of Ross-Shire. His story is told in the book The Days of the Fathers in Ross-Shire (Northern Chronicle, 1927). Fraser suffered with an unhappy marriage to a woman who likely had some form of mental or social disorder, no doubt compounded by her own sinfulness. The account of Fraser's unfortunate marriage begins, “A cold, unfeeling, bold, unheeding worldly woman was his wife.” It continues, “Never did her godly husband sit down to a comfortable meal in his own house, and often would he have fainted for sheer want of needful sustenance but for the considerate kindness of some of his parishioners.” His friends would hide food near his home so that he would not starve to death! On long and cold winter evenings his wife denied him a fire in his study. "Compelled to walk in order to keep himself warm, and accustomed to do so when preparing for the pulpit, he always kept his hands before him as feelers in the dark, to warn him of his approaching the wall at either end of the room. In this way he actually wore a hole through the plaster at each end of his accustomed beat...."